Macromedia Flash Pro 8 Professional is the industry’s most advanced authoring environment for creating interactive web sites, digital experiences, and mobile content. With Flash Professional 8, creative professionals can design and author interactive content rich with video, graphics, and animation for truly unique, engaging web sites, presentations or mobile content. Flash Player 8 adds a new, far more advanced video codec, On2 VP6. This codec provides superior video quality that is competitive with today’s best video codecs at a much smaller file size. Script Assist provides a visual user interface for editing scripts that includes automatic syntax completion as well as descriptions for the parameters of any given action. A revolutionary new font rendering engine that provides clear, highest-quality font rendering, FlashType makes small fonts look amazingly clear and greatly improves readability. View larger. Great ideas deserve great tools. Flash provides full design control to maximize creativity, resulting in a consistent end-user experience across a variety of platforms. 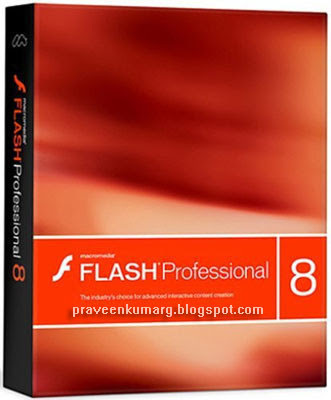 Flash Pro 8 gives you the creative and technical tools you need to unleash applications to the web, Windows, Macintosh, Unix, PDAs, and even cell phones. With Flash Pro 8, you can reach the widest possible audience via the free and widely distributed Flash Player, installed on 98 percent of desktops globally.